Rents around 20% higher than for unfurnished apartments. With leases ranging from one to 12 months, you'll still have the freedom to use your property when you want. Tax benefits, including a deduction of 50% of rental earnings. You'll get the benefit of our marketing experience without signing an exclusive contract. Personalised advice and follow-up to maximise the rental income from your apartment. A high-quality photo shoot of your property. 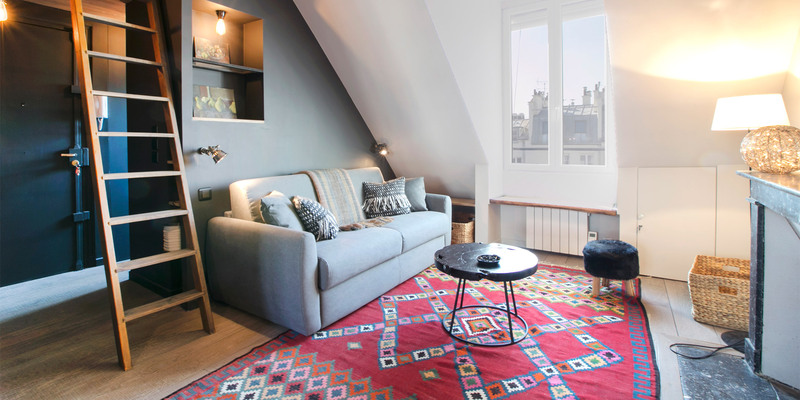 Book-A-Flat specialises in the rental of furnished apartments in central Paris. Our clients come from all over the world and we have a portfolio of more than three thousand apartments available for rental for periods ranging from one month to more than a year. Our office is situated in rue Volney, near Opéra and the place Vendôme. 2. What services does Book-A-Flat provide? Our services include visiting your apartment for an initial meeting without any commitment on your part. During that meeting we'll discuss with you the suitability of your apartment as a rental property, the rental process itself, and your responsibilities as an owner. A follow-up appointment can be made to take high-quality photographs. After that we'll take care of viewings, thorougly vet rental applications, draft a lease. 3. Will Book-A-Flat manage my property? 4. What fees do we charge? The owner does not pay rent fees in our agency, except in the case of a lease constituting the principal residence of the tenant. They then will pay 75% of a month's rent excluding VAT fresh inventory (3 € / m2). 5. How do we select apartments? 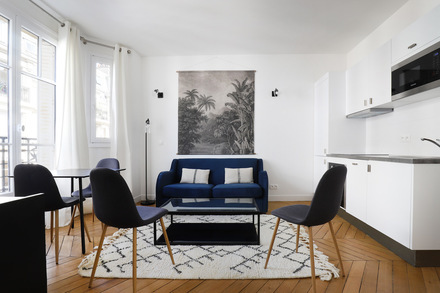 Your apartment should be located in Paris, Neuilly-sur-Seine, Boulogne Billancourt or Levallois-Perret. It should be up-to-date, very well equipped and comfortably furnished. If you'd like to, please email us two or three photos by e-mail to info@book-a-flat.com. 6. What is the average occupancy rate of Book-A-Flat apartments? If your apartment is of a high standard and offered at the going market price, you can expect an occupancy rate of around 90%. There are several tax benefits to a furnished rental. Please contact your local tax office or accountant for detailed information. 8. What are the advantages of a furnished rental? Apart from the tax benefits, rents on furnished apartments are around 20% higher than on unfurnished properties. 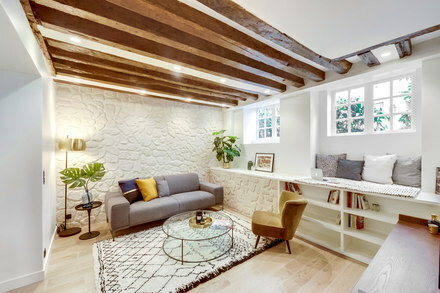 The lease periods on furnished rentals are also flexible and can be tailored to your needs, whereas unfurnished rentals may lock you into a three-year lease. 9. What do we ask of you? We'll need you to provide some information about your apartment building and an inventory of furnishings. Please ask us if you have any questions. We can also discuss this when we meet.